Area restaurants and delicatessens provide samples of their special dishes and desserts. The Avenue of Flags now consists of 441 deceased Veterans from Cherokee County. 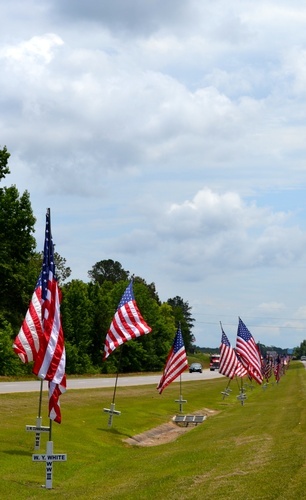 These flags and crosses are placed in the median of Hwy 411 between Centre and Leesburg on seven holidays throughout the year, weather permitting.